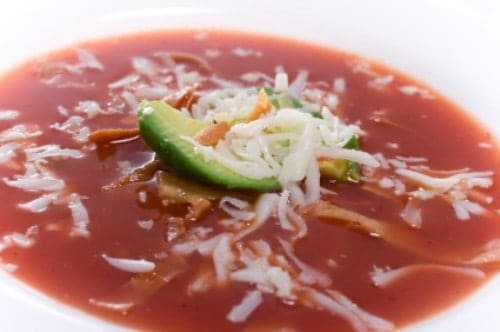 Reata’s Jalapeno and Cilantro soup, if you have not tried it before is a lot like a chicken tortilla soup, but this is creamy, and filled with jalapenos, onions, and topped with fresh avocado. You can make Reata’s Jalapeno and Cilantro Soup at home. Heat oil and saute jalapenos and onion. Add avocado and tomatoes and their juice and bring to a boil. Add all remaining ingredients and reduce, over a happy simmer, by 25 percent. Adjust seasonings and stir in cilantro. Serve immediately. Fabulous! We loved this soup! We will be trying this again!